BOWIE, Md. - Jan. 13, 2019 - PRLog -- On Sunday, January 20, 2019, amidst the national observance of the Martin Luther King Jr. holiday weekend, Hybrid Vision Creative Enterprises, LLC, an arts, culture, and entertainment consulting company, will launch the first installment of its signature event, Exodus Blue: Where Creatives Discover And Do to help support Old Town Bowie area economic growth and expansion goals via arts, culture, and entertainment. Hybrid Vision Creative Enterprises' Arts, Entertainment & Culture Project Manager, Temika Moore states "creative placemaking is important to revitalizing aging communities and creating opportunities for the arts." She goes on to state "the arts can be a key driver in converting available real estate inventory into affordable housing units with unique live-work spaces for creative professionals who also contribute to job growth." According to a recent economic impact study completed in 2016 by the Maryland State Arts Council, (MSAC), Maryland Arts and Entertainment Districts collectively supported $855.8 million in state GDP, approximately $63.5 million in state and local tax revenues, and 8,594 jobs that paid nearly $267 million in wages. Art events like Exodus Blue: Where Creatives Discover And Do strategically support revitalization efforts for the Old Town Bowie area. While it is commendable to establish new offerings for communities, it is equally important to maintain cultural grounding. Old Town Bowie's Railroad Museum is at the heart of creative placemaking. Not only do the arts unify communities, so does anchoring historical attractions such as the railroad museum which support state and local tourism. Jason Schupbach of the National Endowment for the Arts explains "creative placemaking is public, private, not-for-profit, and community sectors partnering to strategically shape the physical and social character of a neighborhood, town, tribe, city, or region around arts and cultural activities." With strong community support, Old Town Bowie could be one of the next state designated Arts & Entertainment Districts in Maryland; and the second in Prince Georges County. The monthly series is designed to provide educational resources for artists from various disciplines: singers, songwriters, instrumentalists, producers, agents, composers, authors, poets, sculptors, painters, photographers, filmmakers, theatrical producers, and digital media creatives including illustrators and graphic artists. Workshops range from establishing and developing effective business operations to how to promote art for today's market place. 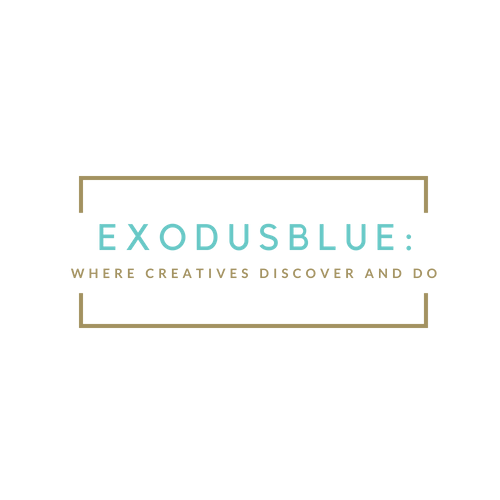 Exodus Blue: Where Creatives Discover And Do is a place where creatives learn how to think differently, see the impact their art can make in communities, and learn how to make their creative enterprise run more efficiently. Hosted in the heart of the Old Town Bowie area also known as Huntington City, Old Bowie Town Grille features a wide array of live music including its Wednesday open mic night. This hidden gem in Prince Georges County, Maryland features Irish-themed cuisine and casual American food in a small hometown atmosphere. Interestingly, if you're a history buff, the Bowie Railroad Museum is steps away from this neighborhood gathering spot. The January workshop will address copyright, licensing and publishing for music creators and film creators with featured speaker Cheryl Potts, Music Publishing Administrator for Crystal Clear Group, former ASCAP administrator, and Creator of Cleerkut Royalty Copyright Management System designed for independent music creators, copyright owners, and their agents. Music creators and filmmakers will discover the intricacies of copyright, music publishing and licensing at Exodus Blue: Where Creatives Discover And Do (https://www.eventbrite.com/e/exodus-blue-where-creatives-...) at 2:30 pm on Sunday, January 20, 2019, at Old Bowie Town Grille located at 8604 Chesnut Avenue Bowie, Maryland 20715. Hybrid Vision Creative Enterprises, LLC provides project management services for arts, entertainment and culture focused organizations and municipalities seeking to advance economic growth. Hybrid Vision Creative Enterprises, LLC manages workflows for all things arts, entertainment and culture-related. To learn more about Hybrid Vision Creative Enterprises, LLC and Exodus Blue: Where Creatives Discover And Do, visit hybridvisioncreative.com.